Our spines allow us to walk upright as well as twist and b end in a variety of directions. It also encases our spinal cord which is of paramount importance for our functioning on a movement and cognitive level. In order for us to be able to have free movement and to be able to bend, stretch and twisting different ways the spine needs to be made of more than one solid bone. 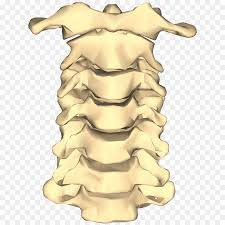 It is in fact made up of thirty-three different ones, known as vertebrae. Veterbrae are shaped liked rings and stacked on top of one another with circular disks of cartilage in between them. This prevents the bones from rubbing on one another and causing pain and erosion of the bone. The cartilage disks also act a bit like the shock absorbers that you find in cars. When you jump, they cushion the vertebrae from hitting one another and the shock and energy rebounds up our spine. Cervical – these are the first seven bones that make up your spine and are situated along the back of your neck and sit just below the head and brain area. Their primary role is to support the head and neck and as your head is the heaviest part of your body it is important that these vertebrae are looked after and work effectively. Thoracic – these are the next twelve bones underneath the cervical section of the spine and their role is to support the ribs and help to keep them in place. Lumbar – the next five vertebrae in your spine. Sacrum – these five vertebrae are fused together to created one strong bone. Coccyx – this again is a series of four vertebrae that are fused together. This area is the most important part in terms of keeping your upright and allowing you to weight bear on your feet and legs. It is these final three areas that are responsible for you being able to carry heavy items as well as walking and dancing whilst maintaining you centre of balance.